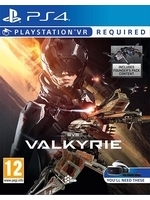 In development for Oculus Rift and Project Morpheus, EVE: Valkyrie, the zero-G shooter from CCP Games got a gameplay trailer at Fanfest 2015, here is it now in high quality and 60fps thanks to the studio. Still no release date for this Unreal Engine 4-powered dogfighting shooter but more details are coming later this year. Looks very promising. 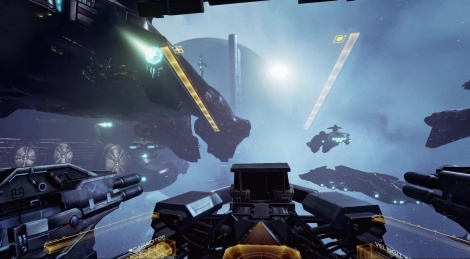 Can only imagine how cool to play it is to play this in VR. it was TERRIBLE!...seriously,mouse control?Maybe Joystick and TrackIR will be better,nobody don't think so? Wouldn't had guessed how much progress VR has done (from all companies) in just these 2Years. By 2018 VR will become an actual reality. That's because it hasn't been "just these 2 years". VR (as with MANY technologies, games, movies, etc) has been and will continue to be worked on in the background for years, decades even. As the owner of an Oculus Rift DK2 I can tell you first hand that modern VR is everything you ever wanted it to be. Nothing will put a smile on your face like strapping that headset on for the first time. Tho they're probably going to need 4K screens in these things to really make it look acceptable for mass consumption.